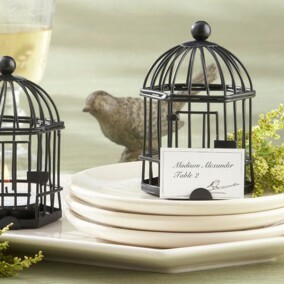 Your family and friends will all be gathered together to celebrate your special day. 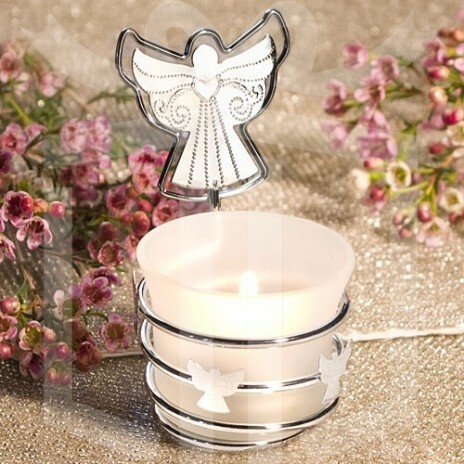 It's the perfect opportunity to show them how much you care, so give them their own guardian angel to light up their day. 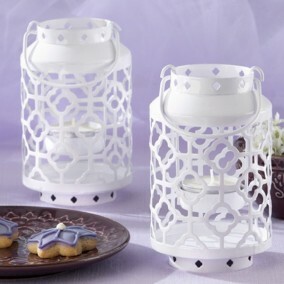 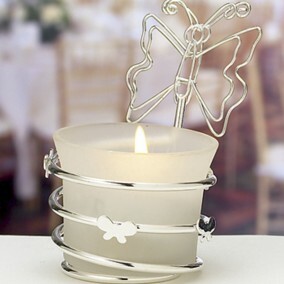 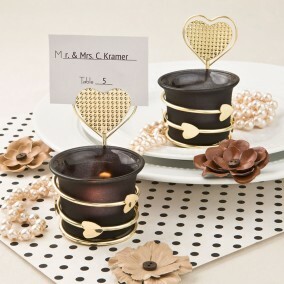 Each place card candle favor measures 10 cm x 5 cm and has a frosted white glass holder with a tea light candle, nestled in a winding silver wire base with attached angel accents and a dramatic angel shaped place card holder top that also doubles as a note/photo holder. 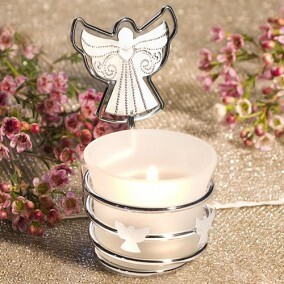 Perfect for all types of occasions, each angel candle favor comes packaged in a white gift box.